This gorgeous vase is handmade from fine bone china, which gives it strength that belies it's fine appearance. 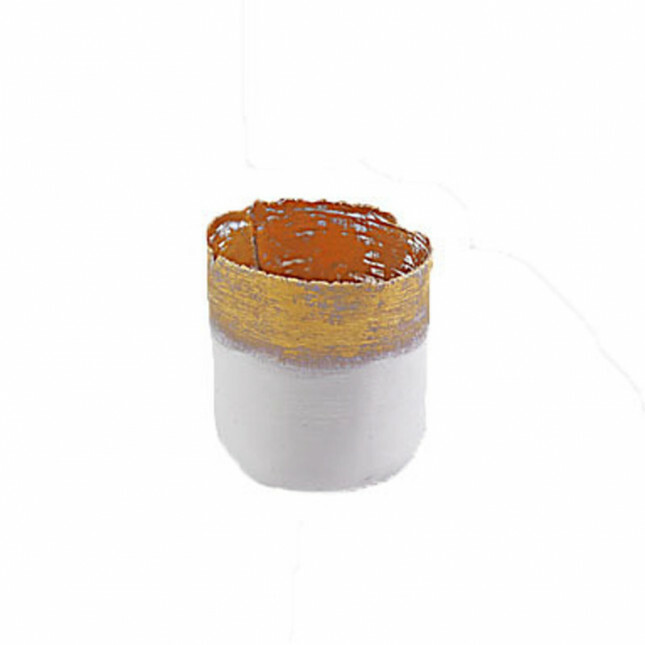 A white matte vase, finished with a gold bark texture which is hand painted, this luxurious piece exudes elegance and glamour. Perfect as a romantic gift or a wedding gift. Please note that the vase is handmade and, as with all designer ceramics, small variations may occur from the image shown.